Your main goal as a Realtor is making your clients happy – but you also want to grow a successful real estate business, right? You’re not alone. One of the most important parts of being a Realtor or agent is constantly learning. You can provide the best services to your clients and make yourself more competitive in the market. Each of these “lessons” will help you grow your real estate business in powerful ways, while also shifting your mindset for better business in the future. Curious? Here’s a little bit of what we’ll be covering in the series. When you think of branding, you probably think of your real estate company’s logo or your advertisements. But branding for real estate goes well beyond that. Learn about personal branding – and why it’s important to be consistent in your marketing, communications, and relationships. Your branding and reputation precede you as a real estate agent, so learn how to make it count! Your real estate business is built on connections, but how strong are those connections? We give you a few tips for starting conversations and ensuring that you really listen to people, regardless of their home selling or buying needs. Authenticity and genuine interest speak volumes about the sort of business you operate, which is why we cover this topic. Get a few tips on how to connect with people, whether in person or online! Social media is probably a huge source of stress for you, especially if you’re running your business by yourself. Instead of wondering how many times you need to post on Facebook to reach 100 more people, why not consider the value of what you’re sharing? We give five steps to curating and creating that your audience will love, and also give tips for engaging your audience to get even more out of your content marketing. Part of growing your real estate business is shifting your mindset from “What sort of commission can I make?” to “How can I benefit this person with my skills?” You’ll likely make more and be even more fulfilled. Plus, people will be wowed by your passion and level of service. Wondering how you can get in on that action? We delve into ways you can be of service to your clients and peers alike in the third part of this series. Want to know what the latest gadgets are — without wasting money on ones that don’t work for you? We give a few of our favorite real estate marketing tools, as well as a few that have been recommended by some of our favorite agents. You’ll learn a lot about the different apps and sites that can help you do more in less time, as well as which tools let you scale up your business with ease. Stay tuned to the blog for the next five articles in the BOOST Your Business series. We’d love to hear your own processes or tips to go along with the 5 ways to grow your business, so leave a comment or share it on social media. We know other agents have gotten a ton of value from this series, so we hope you enjoy! LEARN. NETWORK. BOOST YOUR BUSINESS. © 2019 Builder Boost, LLC. 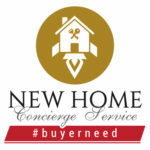 Have a specific Buyer Need? Leverage your time! Let our team help! It's simple and free.